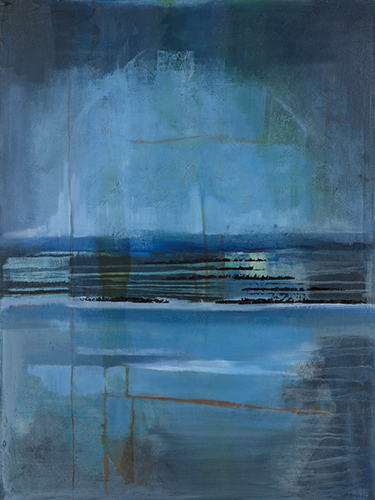 Oh where to begin… another painting inspired by a late summer evening at the shore. This piece is a little bit of east coast and west coast. Mission Bay. When we first moved to California we took long walks around the bay almost every day. On the weekends the shores are teeming with families and their elaborate picnics, it’s so much fun to walk along and see all the kids, skaters, bikers, boaters. The trails are seemingly endless, connected: the bay, the beach, Sunset Cliffs. Later in the evening It is so lovely and so calm along the bay. Quiet waves lapping along the shores, the blues are so dark … midnight, Prussian Blues. I used texture on this piece and acrylic stucco sand, a brayer roller, oil sticks, crayons, palette knives, lots of dripping, pouring and lifting out to get this piece the way I “saw” it. I remember driving over the Chesapeake on the Bay Bridge after a huge thunderstorm it was late after a long day running around the Eastern Shore, sunburned and salty, the sky had cleared and it seemed like we were the only ones on the bridge. The moon was huge over the bay incredibly gorgeous. Out here in Ca the moon over the ocean is something I have dreamed about all my life! All this wrapped up in this piece along with one of my favorite songs, Neil Young’s ‘Midnight on the Bay’. Would a 33 x 33 giclee print be available, and if so at what price. We have your ‘Emerald’ giclee from Crate & Barrel, and would like the same framing if doable. So sorry we missed your comment here Heather! It’s absolutely doable. I have replied to your inquiry directly via email. 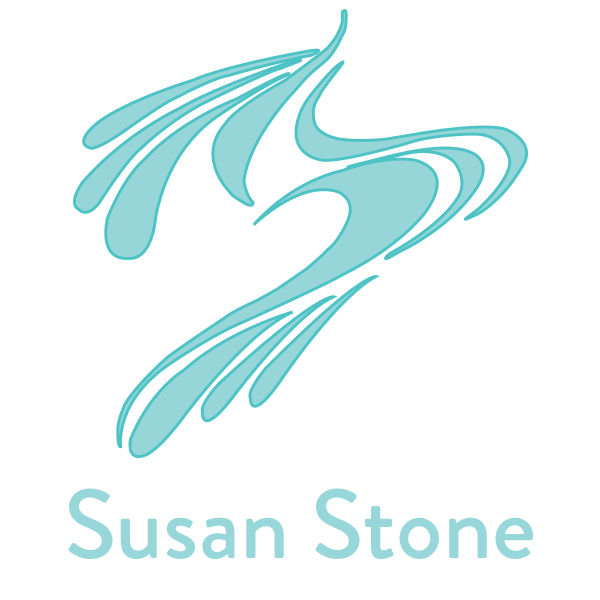 Look out for an email from susan@artbysusanstone.com. Thank you! Following up on last week’s note. Hoping I didn’t mistype my e-mail address.